Brown does not refer to the RDC plan, which would take public land for private development and build a whole new downtown along the riverfront, but the issue is the same -- smart growth? 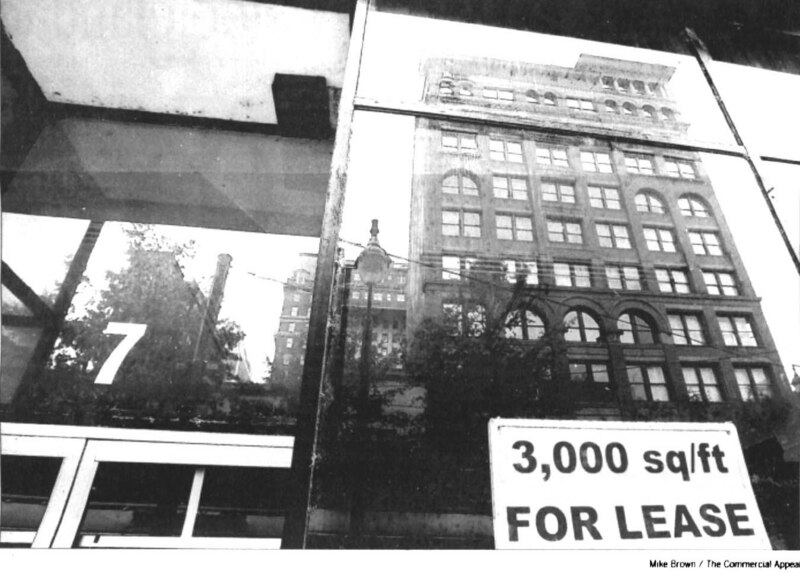 As Jack Belz said to the City Council in 2004, we already have enough unused space downtown to meet the demand for the next 50 years. Click here to take a look at the economics. Here are Mr. Brown’s comments, which ran with his photograph in the Sunday Commercial Appeal's weekly pictorial "1,000 Words" Oct. 14, 2007. As developers prepare to break ground on the $175 million, 3-story mixed use project named One Beale, they might want to consider taking a casual walk down Main Street through Mid-America Mall. They will find that in the short distance between Peabody Place and Adams, 47 percent of the storefronts sit vacant, many in desperate need of repair and updating. Elsewhere in Downtown, historic high-rise buildings sit empty. Recently built high-dollar condos on the South Bluff have “For Sale” signs in the windows. After just six years, major tenants of the Peabody Place entertainment and retail center have scaled back or closed their doors. Then look toward South Main, where the redevelopment of historic buildings attracts large weekend crowds, or at the Lincoln American Tower, which is being restored to its previous grandeur and has much of its space already reserved. It’s clear that growth and development Downtown are essential to the health of our fine city’s image and economy, but is it all smart growth? Should we find ways to utilize the unused spaces that already exist before we move on to the next bigger and better thing?